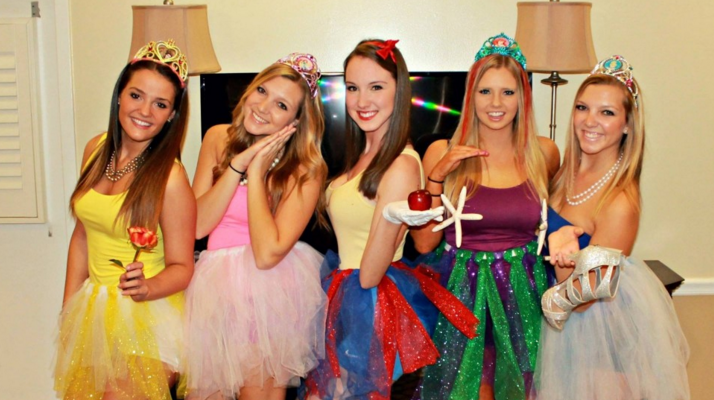 Every sorority girl would agree –– Halloween is one of the most enjoyable nights of the year! Not much is better than dressing up and having some fun with your BFFs. 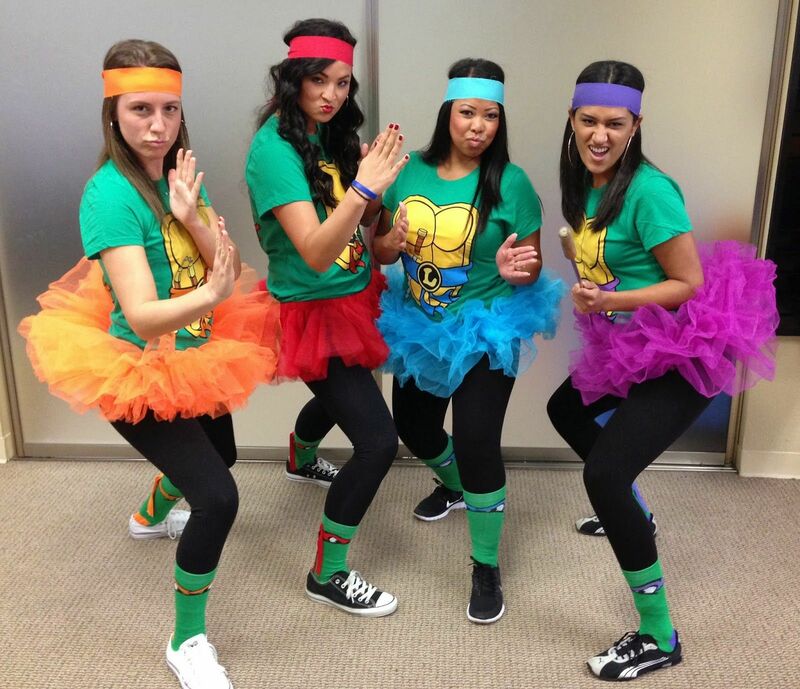 Looking for that amazing costume for you and your sorority sisters to rock this year? Look no further, collegiettes, we've got you covered. Read below and check out the 26 costume themes we've created for every Panhellenic sorority that will help your Greek org steal the show this Halloween! Play on your symbol, the lyre, for a fun and fitting theme that will definitely make some heads turn! Channel your inner Audrey Hepburn and doll up with diamonds, the gem of Alpha Delta Pi. 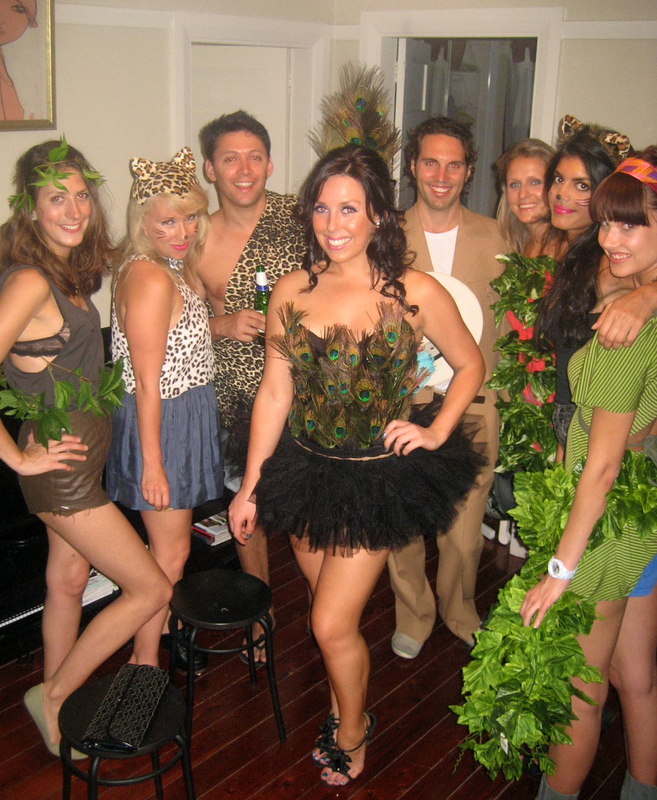 Rock a killer jungle outfit in honor of your symbol, the giraffe, and celebrate Halloween in a wild way! 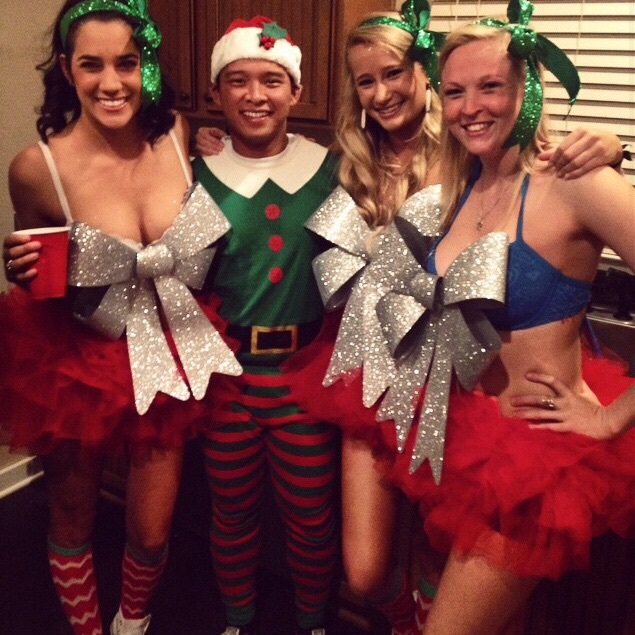 Red and green, the colors of Alpha Gamma Delta, can mean only one thing –– Christmas in October, anyone? Create a play-on-words with your Greek letters, and channel your inner Jack Sparrow this Halloween! Transform your symbol of the ivy leaf into the theme of the Ivy League. Have each sister represent a different school and see who can get the most creative! Add a deadly touch for even more fun. Bring two symbols of Alpha Sigma Alpha, the crown, and the palm tree, together for a festive, luau-themed Halloween. What's a better theme for a sorority whose symbol is the anchor? Sailors, of course! The quill is the symbol of Alpha Xi Delta, so turn this into a feather-themed extravaganza and see what your sisters can come up with! 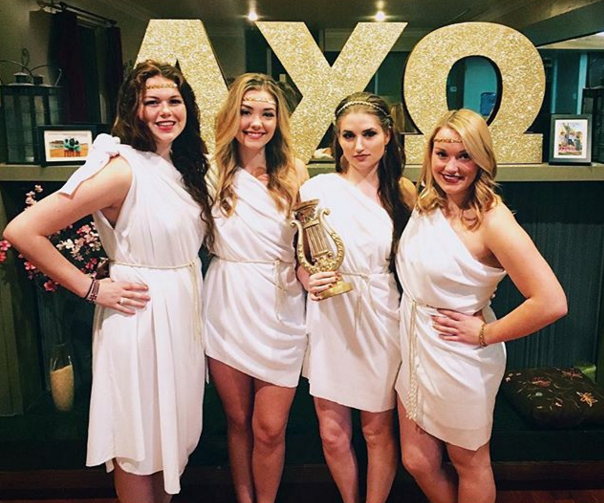 The Greek letters of Chi Omega look very similar to 'XO,' so have a cupid-filled Halloween! Both Poseidon and the dolphin are important symbols to Tri Delta, so an Under the Sea theme is only necessary. Utilize your symbol of the anchor, and divide this theme in half. Half of your sisters can dress as sailors and the other half as pirates! Because when your sorority's symbol is as unique as the unicorn, it must be incorporated into a Halloween theme. This theme, inspired by the symbol of the turtle, is super fun for everyone. See who can create the best turtle costume! When your symbol is the crescent moon, you have to have a party that is out of this world! Use outer space as the inspiration for your Halloween costumes. 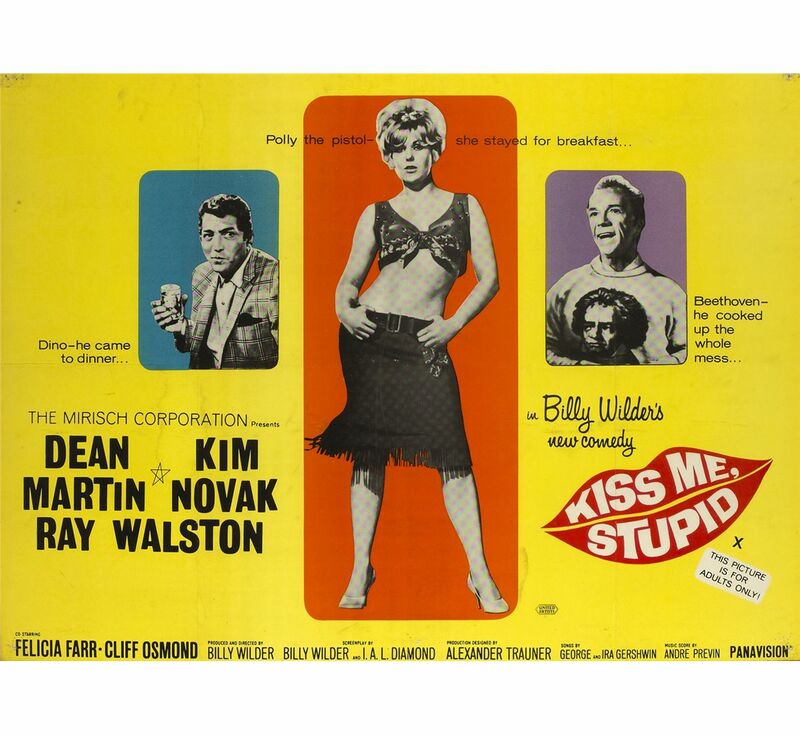 We know this is a classic but... how could you resist? With the Kappa Delta colors being emerald green and pearl white, an Irish theme seems only appropriate. 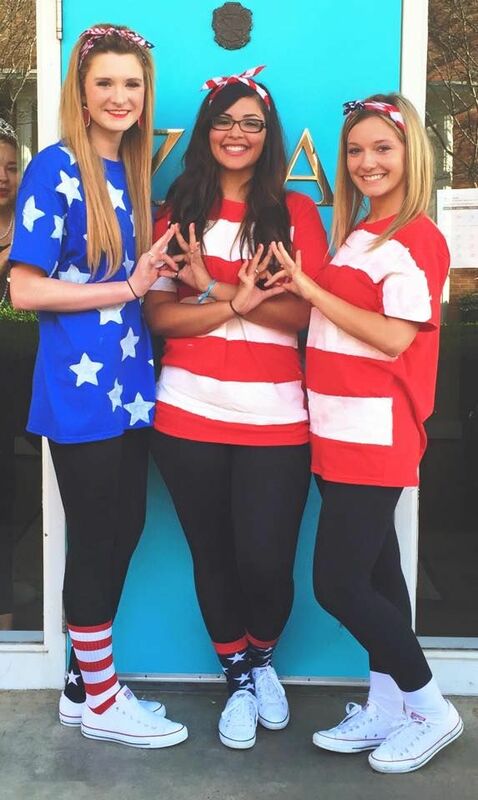 This year, hold a patriotic-themed bash, where your sisters wear America's best! After all, both of your colors are dark and light blue. Since carnations are the official flower of Phi Mu, let your creative side fly and make your own floral-inspired costume! Show the Sphinx, the symbol of Phi Sigma Sigma, some appreciation and rock your best Ancient Egyptian attire this year. You can opt to dress up as Cleopatra and your BFF can be a sphinx! Angels are very important to your sorority, so why not be one this Halloween? Light things up this Halloween, just like your symbol of the torch, and let your inner liberty shine through! Get inspired by elegance and romance this Halloween, and seek inspiration from your symbols of the dove and hearts. Definitely the most relevant to Halloween, your symbols are the skull and crossbones, so there is no reason not to incorporate them this year! The compass is the symbol of Theta Phi Alpha, and is a creative theme for this Halloween. 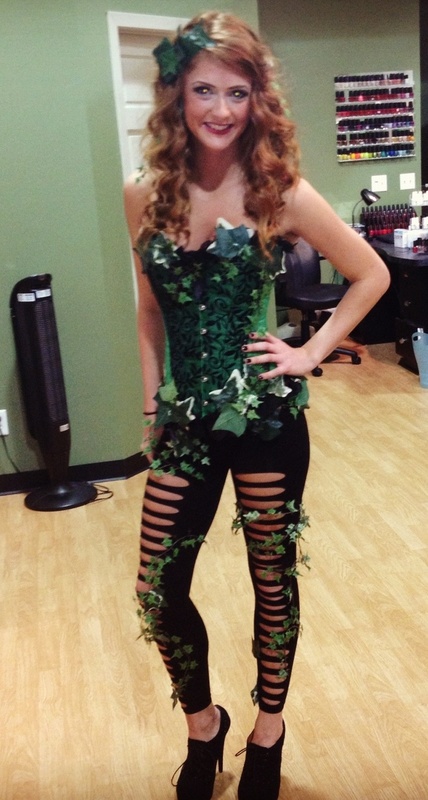 See which sister can come up with the most creative costume from somewhere around the world! What's Halloween without princesses? Nonexistent, probably. Zeta Tau Alpha's symbol is the crown, so deck out your most royal apparel this year. No matter which sorority you are in, there are many creative ways to use yours to transform this Halloween into one that you will never forget –– Get creative, collegiettes!